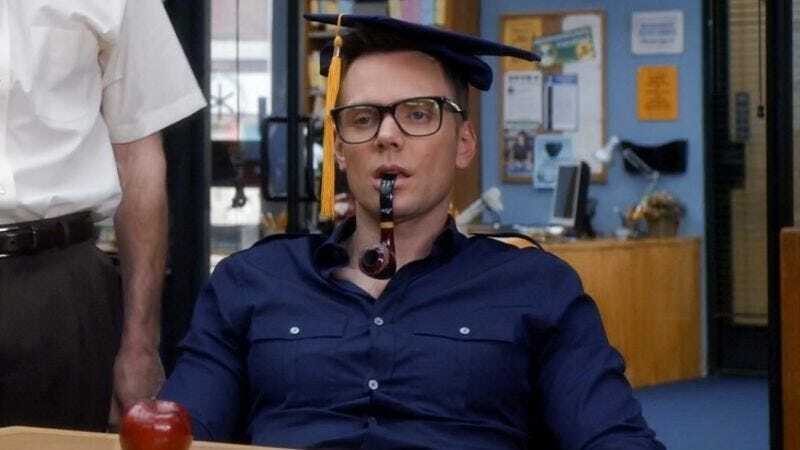 Answering the deeply held hopes and dreams of a select group of people (and their various tight, short-sleeved shirts), Joel McHale has announced that he’s working on a combination memoir and tongue-in-cheek self-help book. Titled Thanks for the Money: How To Use My Life Story To Become The Best Joel McHale You Can Be, the book will mix in elements of biography, smirking lessons (we assume), and “unbelievably juicy celebrity anecdotes,” presumably drawn from McHale’s time on Community, his 11-season stint hosting E!’s The Soup, and the long shadow war he’s spent years waging against Ryan Seacrest. Besides moving into the world of celebrity authorship, McHale’s also recently jumped back into the warm, welcoming waters of sitcom TV: He recently signed on for CBS’s The Great Indoors, where he’ll presumably be giving weekly tutorials in the “act like a sarcastic jerk while hinting at a quiet desperation festering within” lesson plan laid out for readers in the book.